Make blockchain technology tangible – that is the goal of the new hackathon-based IoT-BlockHack. 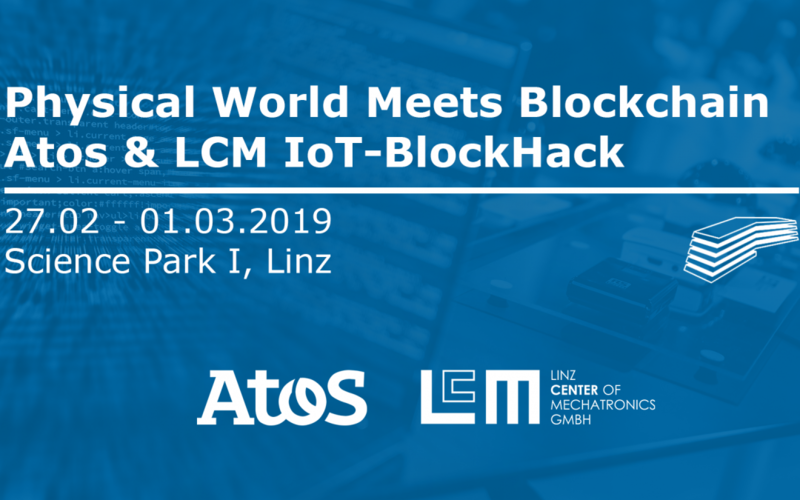 The event will be hosted at the end of February 2019 by Linz Center of Mechatronics GmbH and Atos. AMAG, Keba, Greiner, Stiwa, and Quality Austria will participate with their teams. The challenge is to work and develop a blockchain-based Solution for each individual corporate use-case within three days. Hands-on experience, with abstract or new technologies like blockchain, is crucial for strategic decisions. The IoT-BlockHack event allows strategic managers and IoT-experts from different industries to collaborate in a comfortable environment. Additionally, IT-students comprehensive programming skills will complement the teams. Atos will provide a fully functional tool-chain as wells as lead developers. LCM will support the teams with IoT-experts to facilitate the connection between blockchain and the real world. Day 2 will solely be a developing day. The host will provide food, snacks and drinks to enable enjoyable hacking days! Application and more information at office@lcm.at.